A Literal Treasure Chest Charles Philip Blackledge ’38 gifted an important and fascinating collection of Roman coins to Washington and Lee Special Collections. 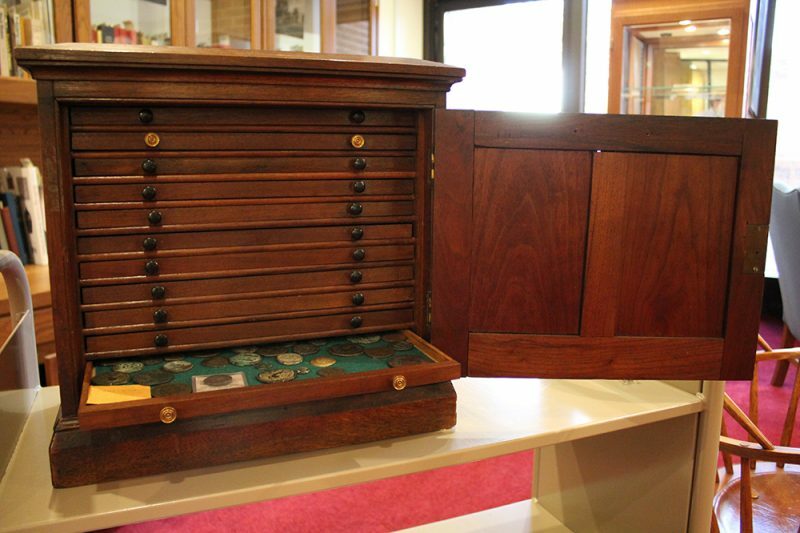 Mr. Blackledge’s coin collection was stored in this beautiful chest. 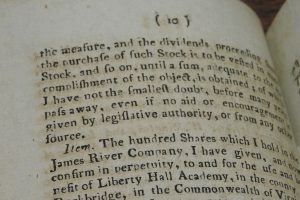 I am often asked, “How does Washington and Lee’s Special Collections acquire such extraordinary material?” That question is usually followed by an equally compelling one: “What is the most unusual item you have ever acquired?” A relatively recent gift, acquired in late 2016, provides the perfect answer to both questions. 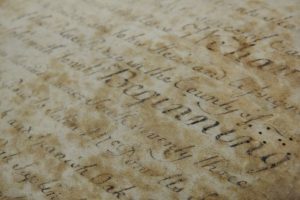 Washington and Lee’s alumni have long been the greatest supporters of Special Collections, and a phone call to me by way of University Development led me to one of the most intriguing treasures to grace our vault shelves. Charles Philip Blackledge ’38 was doing some estate planning and wanted to know if I would be interested in traveling to Williamsburg, Virginia, to talk about a collection that he had put together over a lifetime. These kinds of phone calls are not altogether uncommon in my work but realizing that Blackledge was approaching the century mark, I quickly set up a meeting and headed east with my University Development colleague, Margie Lippard. While I am accustomed to surveying private libraries and collections of family papers, I was completely astonished to see that Blackledge’s collection consisted of a small, beautifully crafted, vintage wooden cabinet filled with more than 300 ancient coins largely from the Roman Empire – a veritable treasure chest, in a very literal sense. Knowing the incredible potential of this small collection as a cross-disciplinary teaching tool, I accepted the gracious offer on the spot. Blackledge’s brilliant smile confirmed his happiness in knowing that his collection, which he began in 1942 while stationed in Palermo, Italy, would find a worthy home at his alma mater. Charles Blackledge, born on January 23, 1917, served in World War II in both the North Atlantic and South Pacific theaters, completing 20 years of active and reserve duty in the U.S. Navy and retiring at the rank of commander. He also served as a financial analyst for the United States Small Business Administration. Sadly, he passed away just months after our visit on May 22, 2017, at the age of 100. Although a relatively recent addition, the Blackledge Collection has already been shared in numerous classes and other public venues, and has directly impacted at least one young, enthusiastic undergraduate. 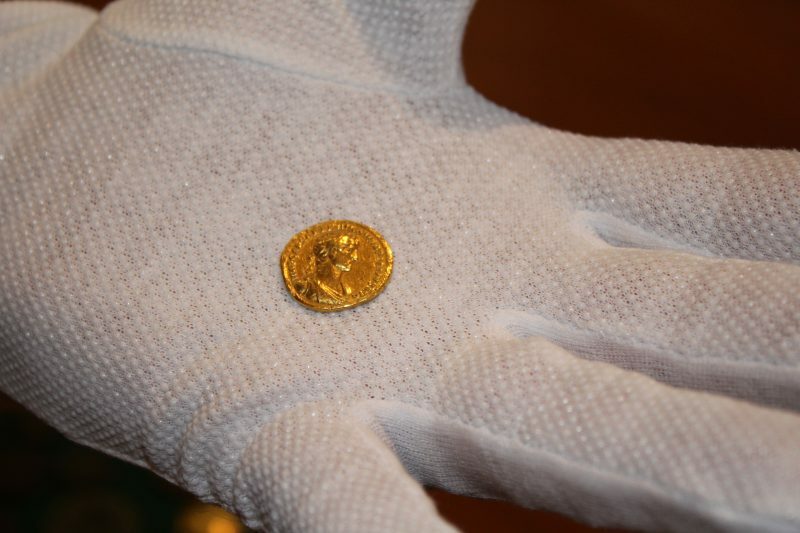 Casey Hamlet ’21, under the direction of Adrienne Hagen, formerly visiting professor of classics, completed an independent study last spring in which she chronologically organized the collection and investigated the figures stamped on the coin faces using online numismatic resources. Most of the figures depicted on the coins are well-documented male emperors but Casey was particularly interested in unearthing histories of women depicted on some of the coins. Her ongoing research is available through this website. Research such as Casey’s not only enriches the fields of classics and numismatics, it serves as a brilliant example of the intersection of past and present. 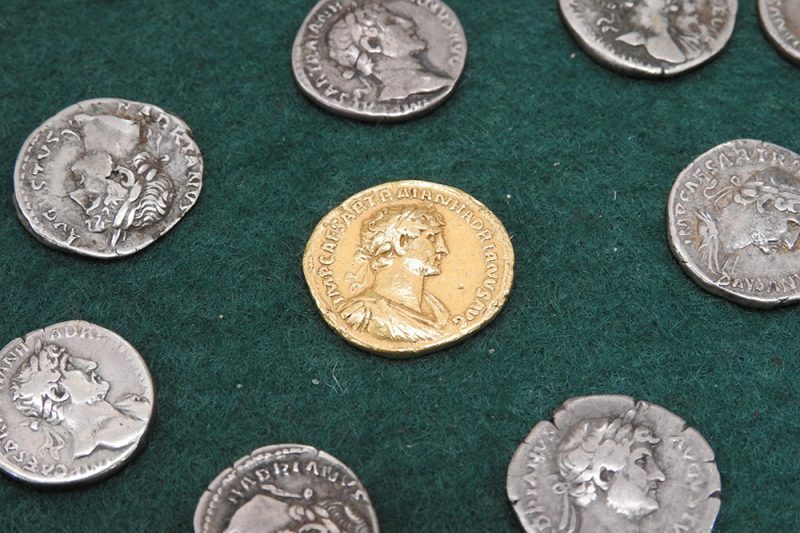 The bulk of the collection dates from the Roman Empire, from the reign of Tiberius (14-37 CE) to the reign of Anastasius (491-518 CE), and includes a variety of coins such as a golden aureus and dozens of silver denarii. Some non-Roman coins are represented in the collection, including one drawer of later Byzantine coins, a few pieces from the Roman Republic and a couple of oddities (like a penny from Nova Scotia). Charles Blackledge may not have been well-acquainted with those digital tools, but I feel sure he would have flashed a brilliant smile knowing what his legacy has spawned.